Like most other apps that work with Apple’s HealthKit ecosystem, “Deadline” motivates you to be healthier, but in a darker sort of way. 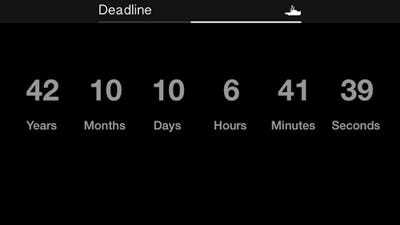 And that’s exactly what “Deadline” does, it tries its best to predict how long you have left, right down to the second. While it’s obviously impossible to know, “Deadline” uses your Apple HealthKit data and asks you a series of questions to generate your own personal death clock. “Deadline” is also tough to overlook thanks to its iOS 8 widget, which inserts your life timer in your iPhone’s “Today” view. 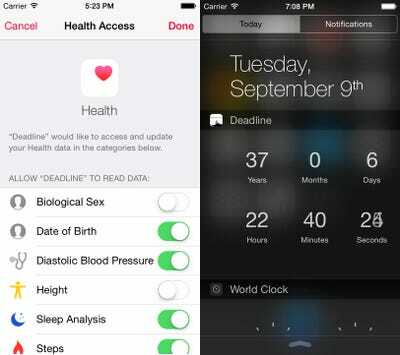 It’s morbid, but the app’s integration with HealthKit means you can add time to your clock by living healthier and exercising more. For those who can’t find motivation in the other colourful health apps out there, perhaps the gloominess of “Deadline” can serve as a reminder that life is finite and they will exercise more. Just keep in mind it’s a rough estimate based on an algorithm. 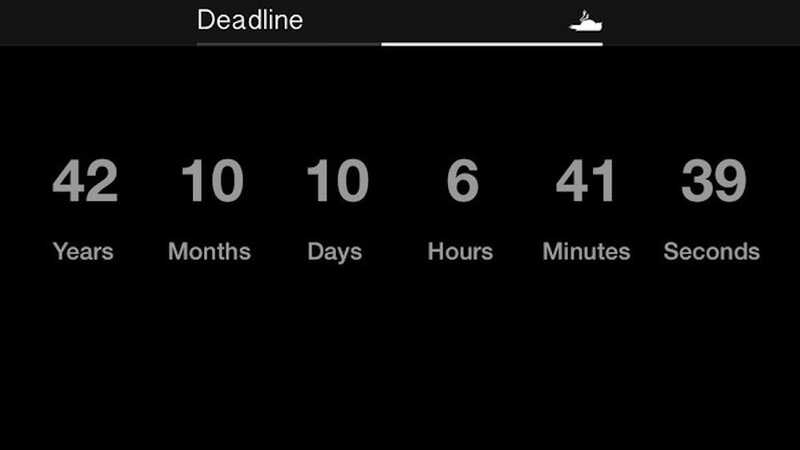 To download “Deadline,” head on over to the App Store.